VIDA on Vida: James Keating explores the contributions of iconic feminist Vida Goldstein to the international suffrage movement, and why Australian women – despite having already won the vote themselves – remained marginal figures in this transnational campaign. On 12 February 1902, Vida Goldstein was elected secretary of the first International Woman Suffrage Conference, held in Washington, D.C. The moment was described by the Victorian suffragist as ‘the great memory of my life’—greater even than her Oval Office encounter with President Roosevelt. It has also been framed as a counterpoint to militaristic narratives celebrating the ‘birth’ of the Australian nation on the shores of Gallipoli. On the back of winning the Commonwealth franchise in 1902, Goldstein assured audiences in America, and at home, that her compatriots would ‘never rest until we have obtained for the women of other lands the same privileges which we enjoy in Australia’. Yet while the youth, vitality, and promise of ‘Little Australia’ captivated delegates at the Washington conference, Goldstein’s visit was not a harbinger of Antipodean leadership in the international sphere. Taking Goldstein’s departure from San Francisco in June 1902 as a starting point, my recent article in Australian Historical Studies examines the reasons why her tour of the United States did not pave the way for significant Australian involvement in the International Woman Suffrage Alliance (IWSA) before World War I.
Vida Goldstein (far right) poses with passengers on the S.S. Sierra, en route to San Francisco, January 1902. Image via Mitchell Library. Goldstein’s American sojourn has intrigued Australian historians as much as it enthralled contemporary audiences who flocked to hear her travelogue, ‘To America and Back’ on the Victorian speaking circuit. However, despite Goldstein’s magnetism and the copious scholarship on women’s interwar internationalism, Australian historians have overlooked women’s participation in pre-war international organisations. Before the recent flurry of digitisation transformed the writing of women’s history, the prevailing explanation was colonists’ distance from the international women’s movement’s transatlantic power base. Yet, as Emma Robinson-Tomsett’s work has demonstrated, the age of rail and steam revolutionised women’s mobility. By the end of the nineteenth century, intercontinental travel remained a significant test of a woman’s financial and familial freedom, but was no longer the sole preserve of privileged elites and assisted migrants. The archives of the International Council of Women (ICW) and the World’s Woman’s Christian Temperance Union (WWCTU) show us that in the anticipation and afterglow of enfranchisement, Australian women were enthusiastic travellers and participants in liberal international initiatives. Between 1893 and 1914, twenty-two Australians attended the ICW’s quinquennial meetings, thirty-two travelled to the WWCTU’s biennial conventions, and hundred more departed for Christian missions in Asia and the Pacific. Enfranchised Australian women were able, if not always eager, to travel, suggesting that deeper reasons lay behind their absence from the IWSA’s meetings. Although the Alliance’s biennial conferences had grown from 13 women in Washington in 1902 to over 300 at the 1913 meeting in Budapest, the gatherings featured few enfranchised women. 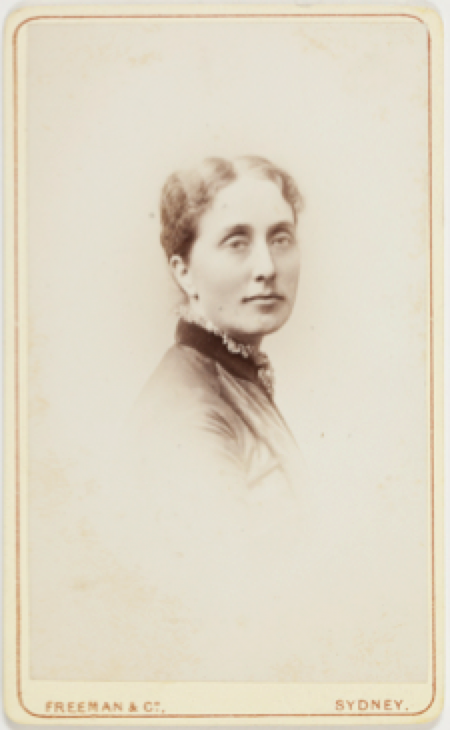 Of the seven Australian delegates who attended conferences during this period, only one—the wealthy philanthropist Emily Dobson—returned home to Australia; the rest were either British stand-ins or expatriates. Lamenting Australians’ ambivalence to the international suffrage movement, in 1908 Goldstein diagnosed her countrywomen’s lukewarm embrace of the IWSA as a product of their ‘utter absence of national feeling’. Far from being an anathema to cross-border cooperation, by the early twentieth-century nationalism was considered a stepping-stone on the path to internationalism. However, debates about the necessity of self-governing nation states as the basis of women’s international organisation—discussed extensively in the European context—were first ignited by Australian women’s refusal to form national coalitions after 1901. 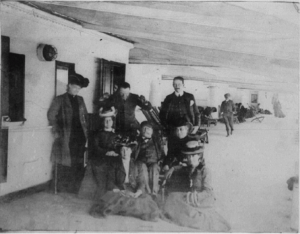 Goldstein’s 1908 observation was the product of bitter experience. Confident that Australian women would unite under a single, national banner, she returned to Melbourne convinced the Commonwealth’s path to international leadership was straightforward. Yet, from the beginning, her vision clashed with the prevalence of older, colonial nationalisms that jeopardised her project. 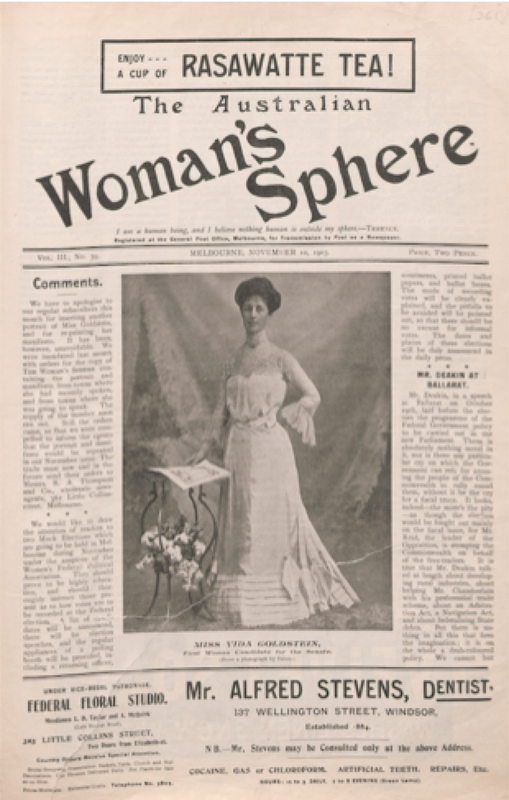 Vida Goldstein featured on the cover of the 10 November 1903 issue of Australian Woman’s Sphere to promote her first Federal Senate campaign. Image via Mitchell Library. 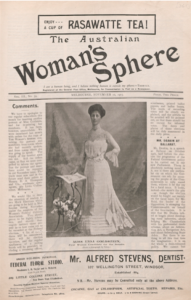 Before departing Australia in 1901, Goldstein used her newspaper, Australian Woman’s Sphere, to issue a nationwide fundraising appeal to underwrite her travel costs, yet few donations came from outside Victoria. 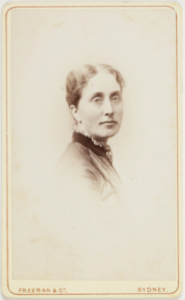 As the South Australian feminist and electoral reformer Catherine Spence remarked, Vida’s supporters felt ‘sore’ that women in neighbouring states ‘did so little towards sending [her] to America’. Further warnings of the difficulties Goldstein faced in building a national women’s organisation came from Europe, where the ICW was locked in a struggle with the former colonies over their refusal to form a national delegation. The dispute began after New South Wales and Tasmania joined as full members in 1899. Upon Federation, their continued separate representation was branded a violation of the Council’s ‘fundamental [national] ideal’. Over the next four years, the ‘Australian question’ acquired new urgency as the remaining states sought to join the ICW on equal terms with their neighbours. They faced fierce opposition from European and American members, who alternately feared that the Council’s admission of sub-national groupings would prompt its suppression by authoritarian federal governments that feared national fragmentation or the entrenchment of a powerful British-led voting bloc. The state councils, however, refused to countenance proposals to create ‘one large National council for the whole of Australasia’, declaring that the continent’s size and sparse population made the Commonwealth a special case. A compromise was reached in 1905. The five Australian councils accepted ‘limited federation in matters such as finance and [international] representation’, but retained their separate international lines of communication—an uneasy truce between colonial parochialism and the ICW’s push for unification that lasted until the formation of the National Council of Women of Australia in 1931. While Goldstein anticipated the birth of a nation, her friend and political ally, Rose Scott, saw internationalism as a chance to forestall the inexorable process of national integration. After an early attempt to form a national women’s political association by post failed, Goldstein sought the New South Welshwoman’s support. However, for Scott — ‘one of the angriest opponents of federation’ — the IWSA offered the opportunity to resist the threat of ‘national singularity’. Refusing to work under Goldstein, Scott enrolled as an associate member of the Alliance, and worked assiduously to secure separate membership for New South Wales, following the model the states had agreed with the ICW. Rebuffed by the Alliance’s executive, Scott was undeterred, suggesting Goldstein appoint her friends as IWSA delegates, then slipping them separate New South Wales reports to read alongside their submissions on women’s progress in the Commonwealth. Rose Scott, c.1890. Image via Mitchell Library. Although she never addressed it in their correspondence, Scott’s fierce resistance to centralisation troubled Goldstein, and led her to relinquish the grand promises of Australian leadership she had made in 1902. Goldstein remained the country’s official conduit to the IWSA until 1919, but had long abandoned the pretence that it was a collective enterprise. When Australia finally joined the Alliance in 1905 — the last of the countries present in Washington, D.C. to do so — it was under the auspices of the little known National Australian Women’s Political Association (NAWPA). Despite the name, Goldstein and the IWSA’s president, Carrie Chapman Catt, both knew NAWPA was ‘nothing but a paper organisation’, a convenient fiction that allowed the Alliance to affiliate the country which had taken ‘the principles of democracy … nearest to their logical conclusion’ without openly flouting its rules. Yet, without a broad-based national organisation, full membership did not encourage Australian interest in the Alliance. In 1906, Goldstein described herself as among ‘the handful of Australian women … awake to the value of international … comradeship’. She soon after abandoned her efforts to build NAWPA into a truly national organisation. Instead, she redoubled her pursuit of federal political office and, at the request of the Women’s Social and Political Union, travelled to Britain in 1911 to serve the suffragette campaign as a lecturer and journalist. Although the Commonwealth Franchise Act 1902 transformed white Australian women into national citizens with unparalleled political privileges, without a strong sense of belonging to an ‘imagined Australian community’ they struggled to assume the responsibilities of international citizenship in the pre-war twentieth century. Whereas Goldstein, a Victorian who lacked the state vote until 1908, recognised the need for national and international solidarity, others—like Scott—feared continental collaboration. See full article: James Keating, ‘“An Utter Absence of National Feeling”: Australian women and the International Suffrage Movement, 1900–14,’ Australian Historical Studies, 47, no. 3 (2016): 462-481. 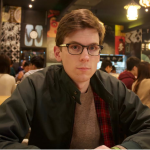 James Keating is a PhD candidate at the University of New South Wales. His current research, published in Women’s History Review and Australian Historical Studies, considers the individual connections and organisational networks that linked Australasian feminists with their counterparts across the world in the late nineteenth and early twentieth centuries. 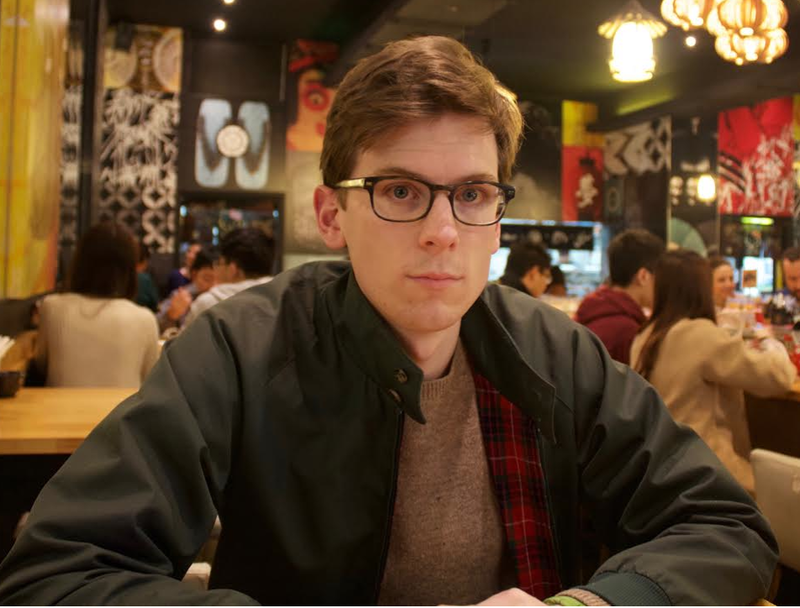 James is a member of the Journal of Australian Studies’ editorial committee. Follow James on Twitter @Keating_JW.